My mom (Gluten Free Grandma T) got me an Instant Pot for Christmas and it changed my life! It’s made meal preparation so much easier for me. I can cook a whole bunch of meat (or beans) in a relatively short amount of time, and do things that took all day in the Crock Pot in an hour. I usually look at a few recipes and then freestyle, based on what I have on hand. However, I followed the following recipes pretty closely (I’ll note what I modified) and thought they were pretty great. Here’s what I’ve been cooking in my Instant Pot! End result: Delicious. I mashed the potatoes with skins on with a little half and half and it came out great. 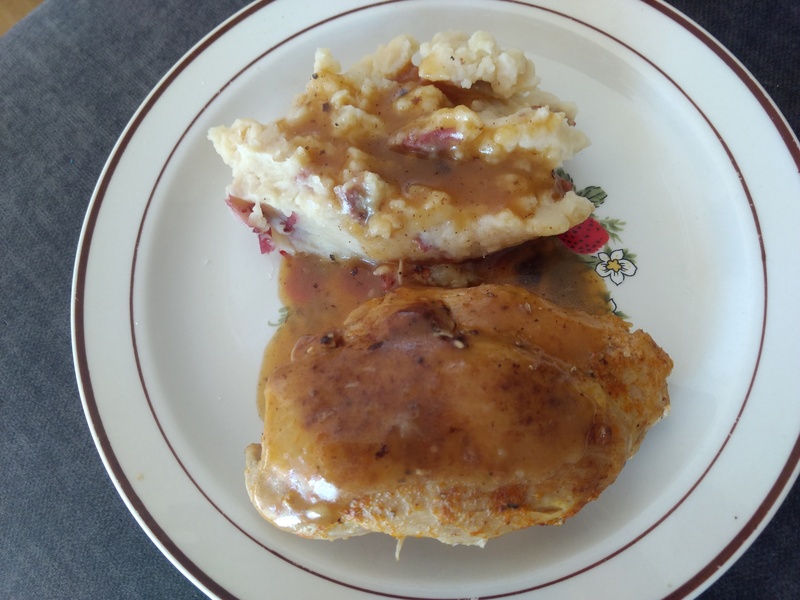 I thickened the sauce left in the Instant Pot with a little corn starch slurry to make gravy. This produced five meals! 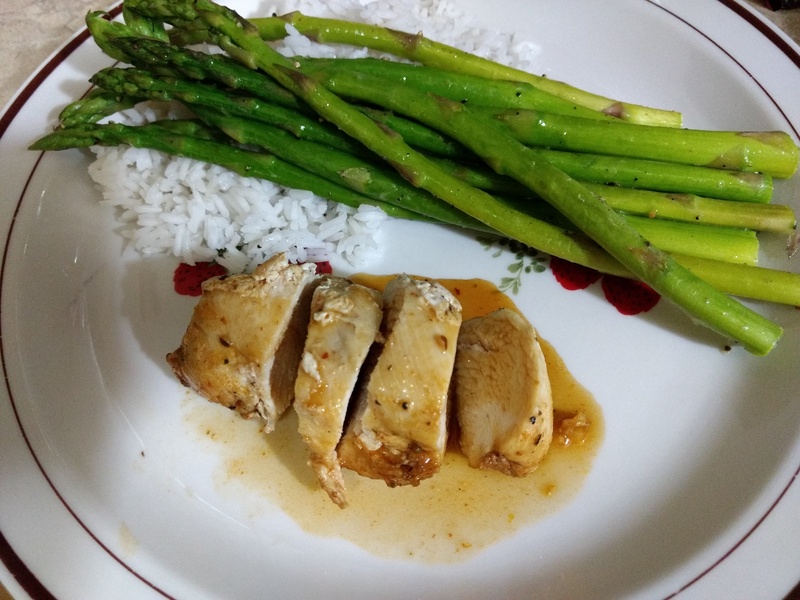 Honey garlic chicken with rice and asparagus. I thickened the sauce later. What I changed: Omitted ketchup and oregano. Added 1/4 cup sriracha, a little chicken broth, and a teaspoon of brown sugar. Subbed coconut aminos for soy sauce. Didn’t bother with seeds and onions at the end. End result: Really good, especially once I thickened the pan sauce with a little corn starch. Feijoada over rice, with sauteed greens and diced oranges. 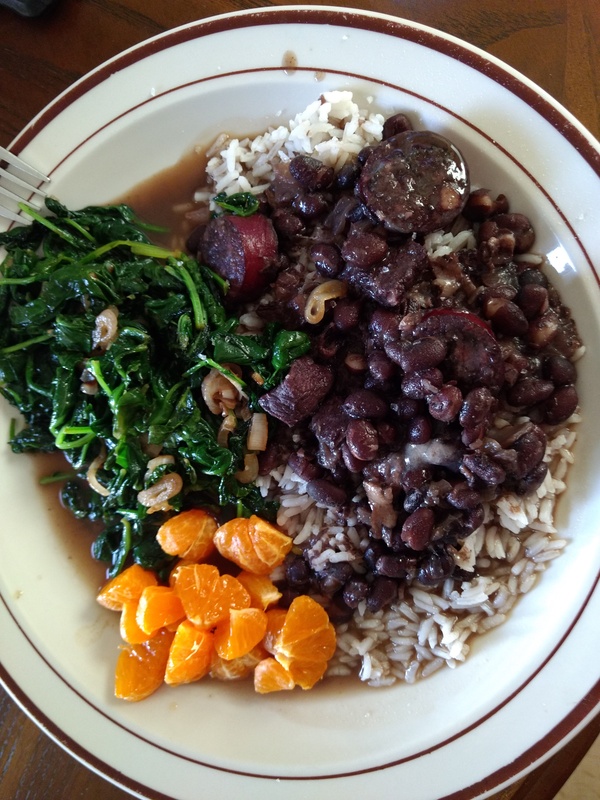 You may recognize feijoada as Brazil’s national dish. It’s basically a meat and black bean stew. End result: Loved it. Served over rice with sauteed greens and diced up oranges. I’ve tried a few other things (like a mujadara that was really mushy thanks to the difference in rice and lentil cook times) but these are the best I’ve found so far. I hear you can make risotto in the Instant Pot, so I’m dying to try that one! Do you have any favorite Instant Pot recipes? Link them in the comments! ← Magic Bullet: hangover prevention?